Spring has finally crept its way out from hiding! With the new season, I always crave fresh, sunny flavors after a cold winter. This turmeric-chai almond butter is full of fresh aromas – slightly sweet, a little bit earthy, and subtle enough to be paired with a variety of dishes. 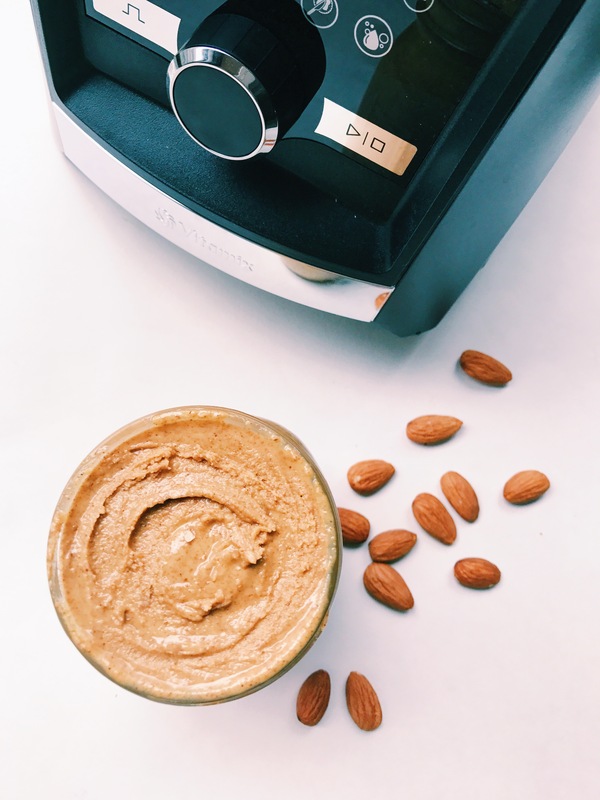 Using the new Vitamix Ascent series, you can quickly make your own silky smooth nut butters in a flash with the dips and spreads setting. 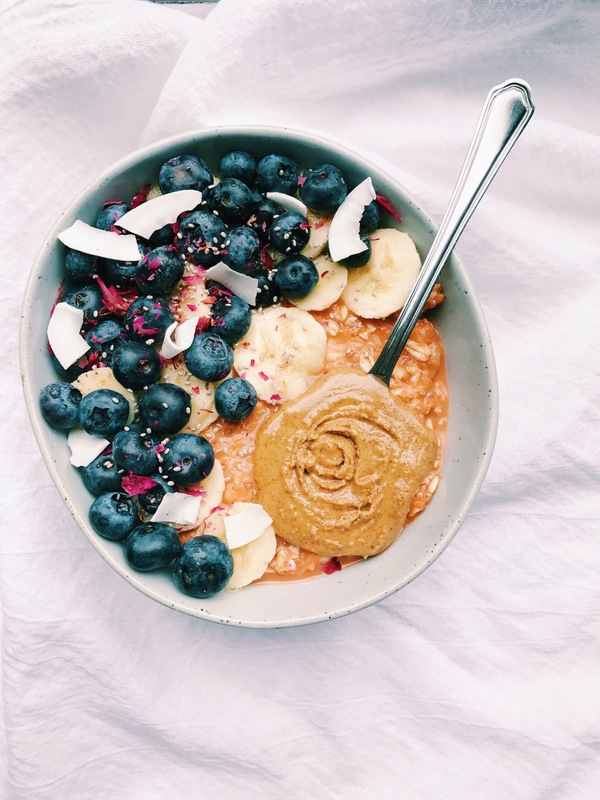 While this almond butter would be excellent spread on toast or in an almond butter and jelly sandwich, the complex flavors of this almond butter really shine when paired with this carrot cake overnight bowl. Carrot cake has always been one of my favorite desserts, especially my mom’s homemade version, and this is the perfect excuse to eat it for breakfast! This is a wonderful Mother’s Day brunch recipe to make for all the moms in your life! Slice banana and place in microwave safe bowl. Microwave on high for 1 minute, so banana is caramelized. In a jar, combine microwaved banana, carrot, oats, chia seeds, raisins, cinnamon, almond milk and yogurt. Mix together and shake well. In the morning, add toppings directly to container combine everything in a bowl. Combine all ingredients in Vitamix Ascent series machine. Begin by using the machine’s dips and spreads setting to break down the almonds quickly. Blend on speed 1 and slowly increase speed. Blend for about 10 minutes, periodically stopping to scrape ingredients towards the blades with a rubber spatula. Use tamper to move ingredients towards blade. Add coconut oil 1 tbsp at a time to aid blending, if needed.